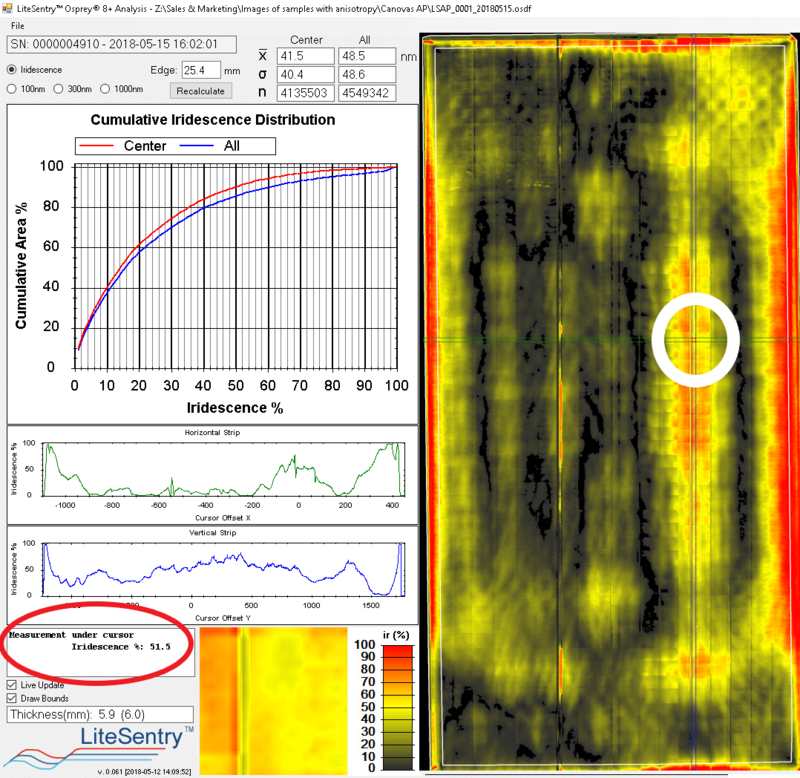 The Osprey 8 Anisotropy Inspection System by LiteSentry is the industry standard for real-time inspection and measurement of tempered glass. The Osprey 8 Anisotropy inspects for maximum observable iridescence, strain marks, heat staining, white haze, and average or residual stress. To inspect for Anisotropy and Distortion in a single system - click here for the Osprey 8 Complete! Anisotropy and iridescence are said to be inherent to the tempering process. However, when measured accurately and results presented clearly to the user, the phenomena can be controlled and minimized. Architects and building owners require exceptional glass quality and are specifying decreased iridescence, particularly on high profile projects. The means for architects and glass fabricators to find common ground is a quantifiable measurement upon which an acceptable level of iridescence can be agreed. 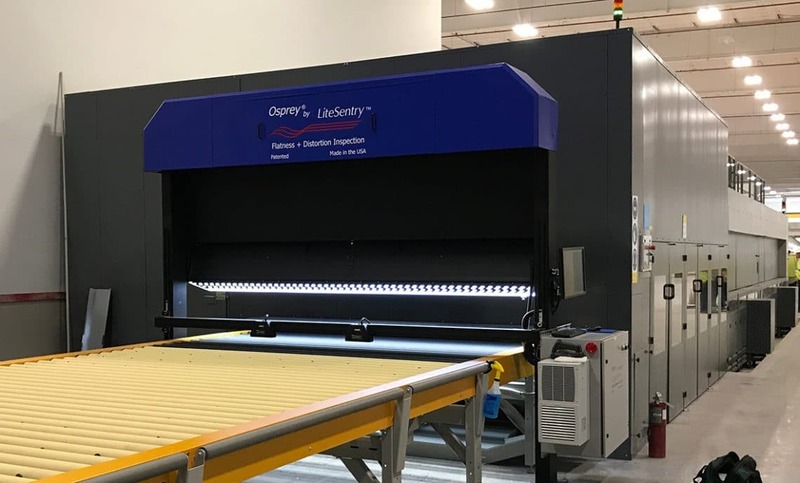 The Osprey 8 Anisotropy uses Stress Photonics Grey-Field Polariscope cameras and polarized transmitted light to detect anisotropy effects in every sheet of glass. 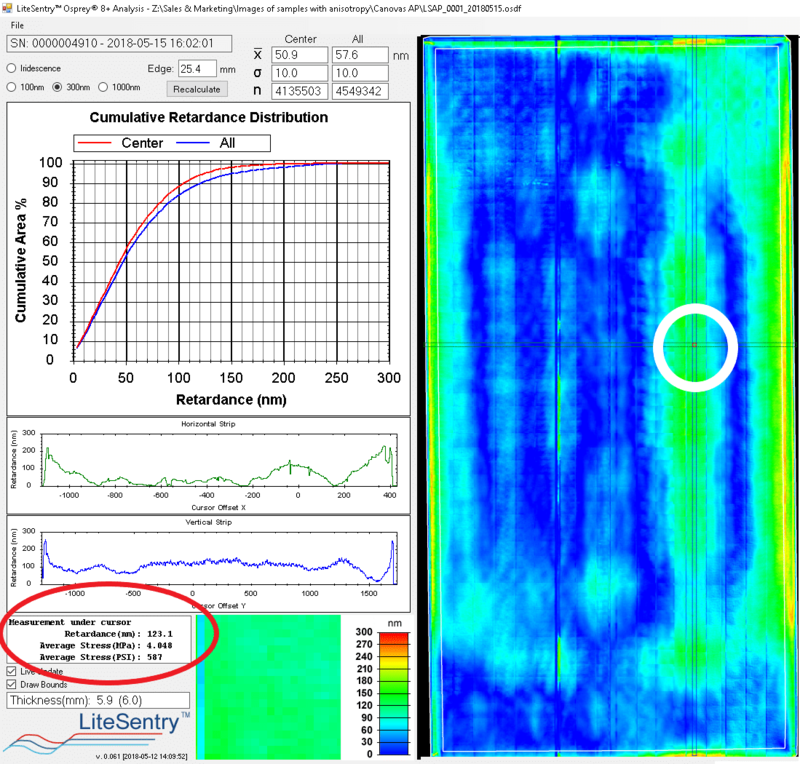 Accurate and repeatable measurement allows the user to reduce the phenomena through improved process control.